Crazylight Boost 2015 Out Now in The Philippines: Price , Release Date, and More Here! PORTLAND, Ore. (April 2015) – adidas unveiled the Crazylight Boost 2015. Featuring Primeknit technology for the first-time ever in a basketball shoe and coupled with industry leading Boost cushioning technology, the league’s best will vie for a championship in adidas’ most innovate basketball shoe ever. Based on immense research compiled from studying athletes across the globe, Primeknit was developed to deliver optimum comfort to help players compete at their highest levels. The all-knit upper is highly engineered to provide targeted support in key areas for basketball movements while providing a custom stretch for maximum comfort, flexibility and reinforcement. The knit construction promotes free movement and circulation to help feet stay cool and comfortable for 48 minutes on the court. Primeknit also allows for unique designs with an extensive array of color variations and patterns for the most eye-catching color combinations that stand out on the court. 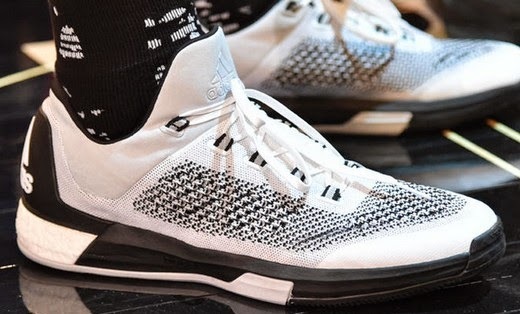 Since launching last summer, Boost has been worn by NBA superstars and the top collegiate teams in the country. This model features 13 percent more Boost to deliver maximum energy return, responsiveness and comfort. True to adidas’ mission to make athletes better, Boost features innovative material made up of thousands of capsules that help store and release energy efficiently as athletes perform. Since its launch in 2011, the Crazylight set the industry standard for lightest in class to make players faster on the court. The Crazylight Boost 2015 continues that mission with a 12.2 ounce low and 13 ounce mid cut version. The Crazylight Boost 2015 will be available in the Philippines this July for P7995 (low) and P8495 (mid) in team colorways with additional drops throughout the year.